We are proud to share that our Wholistic Knowledge Sharing Circle for children and youth, offered in partnership with CPRI, was recently recognized with a Deputy Minister Pinnacle Award from the Ontario Ministry of Children and Youth Services! Congratulations and Miigwetch/Yaw^ko/Thank you to all who support the Wholistic Knowledge Sharing Circle and make a difference for Indigenous children and youth everyday. Click here for the full story in Anishinabek News! 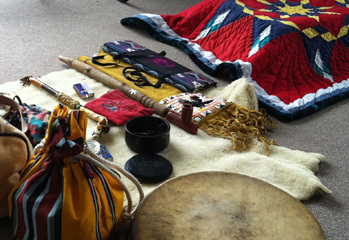 The Wholistic Knowledge Sharing Circle connects an Indigenous child/youth and their family with a ‘circle’ of health providers that includes a traditional healer, psychiatrist, social worker and others. This circle gathers information from the child/youth and their family to provide an assessment and an wholistic wellness plan that is specific to each child/youth. This gives them knowledge, tools, and recommendations to help them achieve mental, physical, spiritual and emotional well-being. 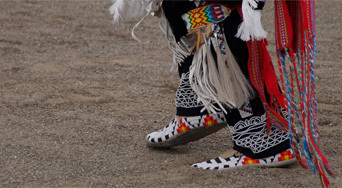 The Wholistic Knowledge Sharing Circle honours both Indigenous and western knowledge, practices and views.